Under the shadows of the Mazatzal Mountains, in the cool pines of the Rim Country of North East Arizona, Our exclusive line of Body Care products are Made from the finest of ingredients gathered from all over the world.. Pure & Natural Body care products at some of the lowest prices you will find anywhere. Operating within the skin care product design field for many years, we started our company Denham's Natural in 2003, a company dedicated to bringing the best in responsibly made more natural skin care products to people at the lowest possible prices. Initially Our Business model was based on "That Body Shop" chain. We figured to open a chain of stores across the State and then across the country selling a more natural alternative to skin care but at lower costs than were currently considered the "norm". To better fund this rather extravagant goal we opened an online retail outlet and cut prices to well below fair market prices to immediately break into the online market and attract customers quickly. People really seemed to like our products and fair prices, and Businesses flooded in our direction.. But not being able to offer prices much lower than we had already made available, we invented new ways for businesses to interact with us; by offering our varied Custom Labeling, Build Your Own Product, and Bulk Product options. This enabled stores and businesses to place orders for our products at low market price and still sell at the fair market prices that ensured profit enough for everyone. Online Sales quickly snowballed at a growth rate of 100 to 300% per year, the Chain store model was placed so far back on the back burner it was in real danger of falling off the stove entirely. Since we had absolutely no time to even organize a chain of store locations, we found a piece of land within the 2.4 million acre pine belt located in North East Arizona, organized a manufacturing facility on it to get things done right, and settled for being what, (over the years) we seemed to be quite competent at: A fully independent manufacturing operation; Uniquely Designing and manufacturing the most natural skin care products commercially possible at the best possible prices. Apart from the success of our online retail sales, our major function these days is to cater in business-to-business sales. We currently supply many, many, hundreds of businesses nationwide, and provide them with products to sell in their own stores and under their own label. Many of our customers have been with us for years, some of our clients are still with us, and have been with us from the very beginning. Many Years Later, Our products are in every State of the Union and are being exported from the US by distributors to places as far afield as the Netherlands to Japan. 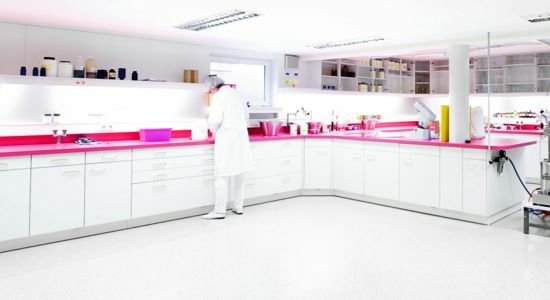 Our clients range from Microbiology Labs to Chemical Engineers, to Mom and Pop Stores to Pharmaceutical Companies, from hard working stay at home Moms trying to get through a rough economy, to hospitals, to art exhibition organizers, to State Fair Stalls and to every imaginable retail type operation in between. It's been a Great Ride, and our plans for the future may still include those chain of stores... We will see... But in the meantime, we will do what we do best. If you need help, Ask.. If you have questions? We will do our best to answer them. But if you should choose to do business with us you will find that we offer a no-nonsense way of doing things. You place an order - and we fill it as quickly as we possibly can. We get asked all the time if we will grow out of retail sales... But at this time we think that we may always sell at a retail level, it seems like the right thing to do... Many people can't afford the more expensive products found locally, but need a product that suits their needs within a more realistic budget. As Always... If you have any questions, please feel free to contact us.